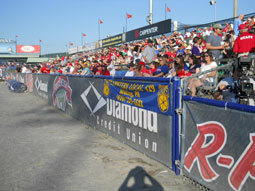 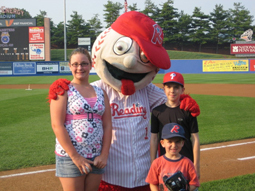 The crowd and the Teamsters Banner at Teamster’s Night at the Reading Phillies on July 9, 2011. 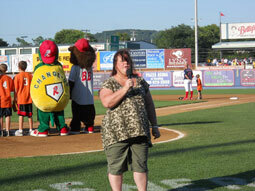 Local 429 member Kim Fischer, and employee of the Central PA Teamsters Health & Welfare fund singing the National Anthem. 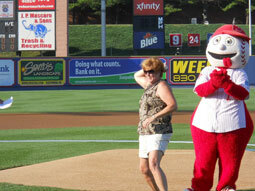 Local 429 member Sandra Buckley, and employee of Reading- Muhlenberg Career and Technology Center throwing out the 1st pitch. 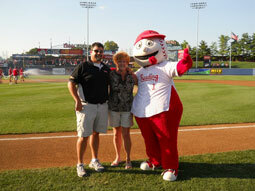 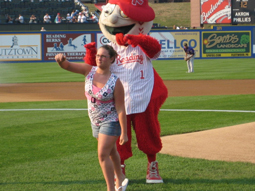 Local 429 member Sandra Buckley with her son Joe Bialek of the Reading Phillies and Screwball. 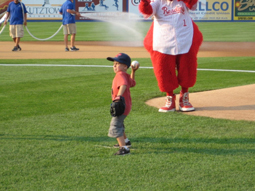 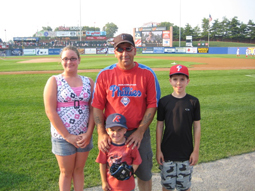 Logn Knarr, son of Teamster member Ricky Knarr, employed by New Penn Motor Express throwing the first pitch. 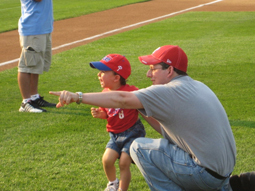 Teamster member Jim Boyer, employed by AWI, with nephew Dawson Cade at ballgame.